While the world of animated movies has fully embraced movie stars taking over the majority of the roles, TV animation still adheres to voice actors that you probably wouldn't recognize if you saw them on the street. But of course there are exceptions, considering how populated the cartoon landscape is these days. We've rounded up 10 actors and actresses whose work behind a microphone is just as good as, if not sometimes better than, their live-action performances. Note that this is by no means an exhaustive list. 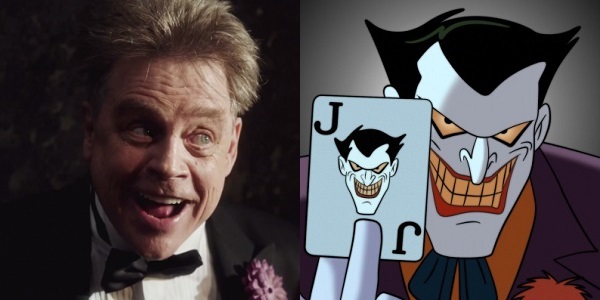 Why He/She’s So Awesome: Despite a strong early career in TV, Star Wars completely shifted how the world saw Mark Hamill, and he tried escaping that typecasting through live-action in the 1980s and early 1990s. But once he blew people’s minds as the Clown Prince of Crime, he never really looked back, voicing dozens upon dozens of various characters in the past 20 years, from children’s shows like Miles from Tomorrowland to more adult fare like Metalocalypse, even re-voicing his most famous roles for Robot Chicken. 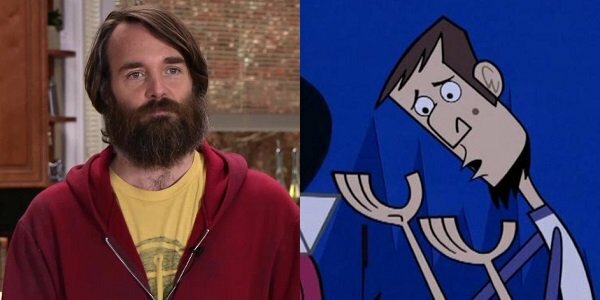 Why He/She’s So Awesome: Will Forte is the ultimate everyman who presumably has dark forces happening beneath the surface, and his characters often showcase that. He made Clone High’s Abe Lincoln the epitome of love-torn teen angst, and continues delivering winning performances in shows such as Gravity Falls, Bob’s Burgers, and American Dad. 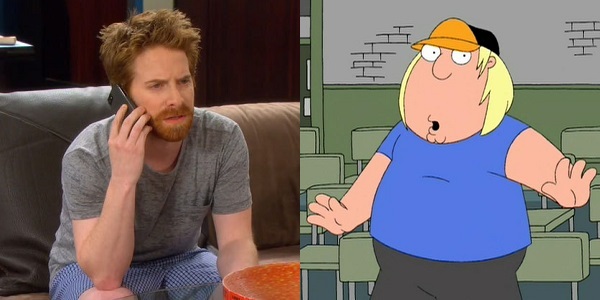 Plus, he’s actually in The Awesomes, so that should explain it. Why He/She’s So Awesome: Aisha Tyler is a hilarious stand-up comic, a stellar talk show host, and a great actress in general. 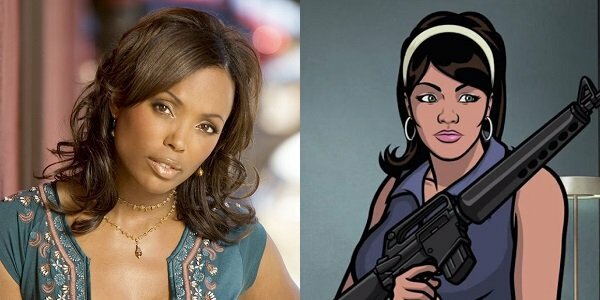 But she is as perfect as Lana Kane in Archer as H. Jon Benjamin is in the title role. So good, in fact, that I’d initially assumed that I must have heard her voicework in many other shows. But no, I haven’t, although I certainly hope that her multi-hyphenate career allows for more voice roles in the future. 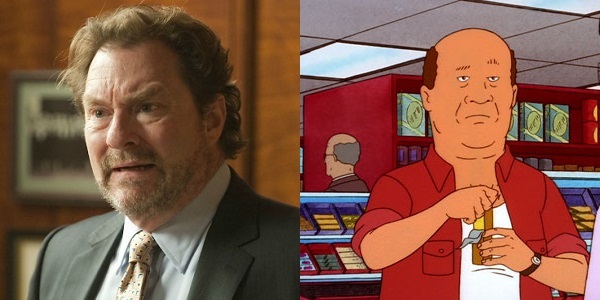 Why He/She’s So Awesome: I’m one of those people who thinks Bill was the most interesting character on King of the Hill, and so much of that came from Root’s “simple but not stupid” performance. Add to that his work as the Penguin on Batman: The Brave and the Bold, as Mildew on Dreamworks Dragons and as various characters on a growing list of recent animated series, and Root is slowly becoming just as important out of sight as he is on screen. 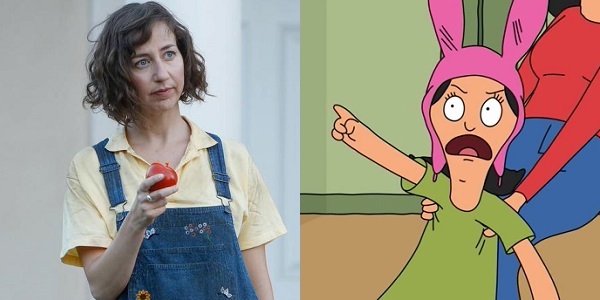 Why He/She’s So Awesome: One of comedy’s quirkier stand-up comics, Kristen Schaal has done so well with her work as the scrappy quasi-anarchist Louise on Bob’s Burgers that it’s almost impossible to see or hear her in anything else without wondering where her rabbit ears are. And there’s nothing wrong with that. 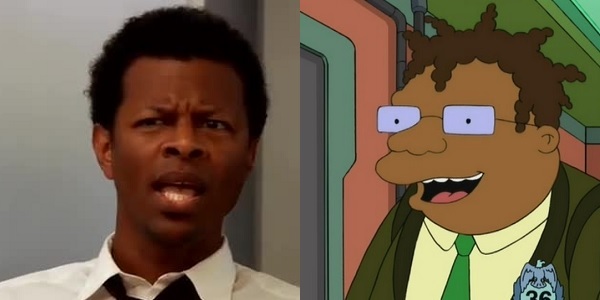 Why He/She’s So Awesome: It’s surprising that Phil LaMarr hasn’t done more live-action work over the years, given his excellent timing and character range. Though Futurama’s Hermes and Family Guy’s Ollie Williams are his most recognizable roles, LaMarr has been everyone from Dracula in The Grim Adventures of Billy and Mandy to Green Lantern in Justice League to Black Vulcan in Harvey Birdman, Attorney at Law. 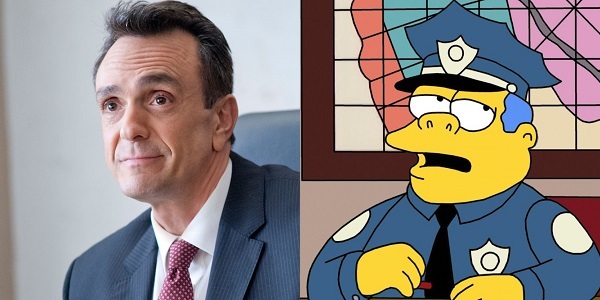 Why He/She’s So Awesome: Come on, it’s Hank freaking Azaria. Not even accounting for his always-enjoyable work on screens both big and small – Mystery Men for life – the ridiculously grand resume he’s accumulated with just Simpsons characters is enough to vault him into a pop culture hall of fame. Disco Stu, Duffman, Carl Carlson, Professor Frink, Apu, Chief Wiggum, Cletus, Moe. The list goes on. 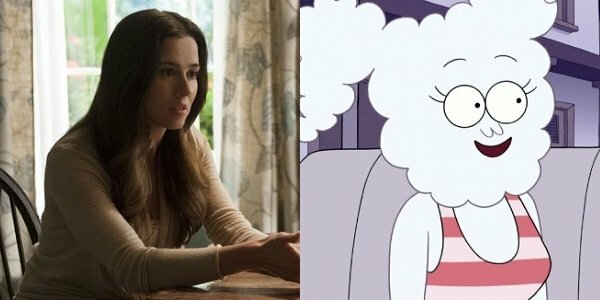 Why He/She’s So Awesome: It’s relatively impossible to nail down what kind of an actress Linda Cardellini is, as she can flip from heavily dramatic to truly ridiculous roles. The latter of which perfectly sums up her work as the emotionally fraught cloud-girl C.J. on Regular Show, the hyper-overachieving Megan Sparkles on Sanjay & Craig. and the laidback teen Wendy on Gravity Falls. Why He/She’s So Awesome: Green is one of the rare child stars who not only didn’t implode, but managed to carve out a niche spot in the industry with the hilarious and absurd stop-motion animation of Robot Chicken and its Star Wars offshoots, where you can hear dozens of characters that sound pretty much like Family Guy’s Chris Griffin. He’s branched out from the adult humor as well, voicing Leonardo on Nickelodeon’s Teenage Mutant Ninja Turtles and A-Bomb on Disney XD’s Hulk and the Agents of S.M.A.S.H. 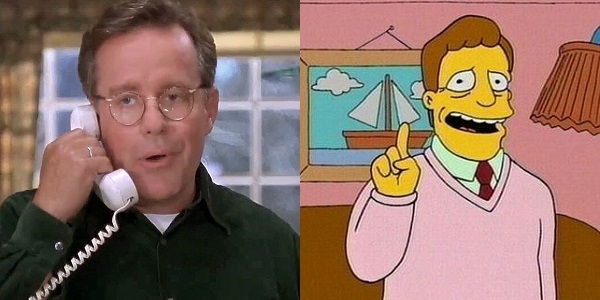 Why He/She’s So Awesome: Phil Hartman was the consummate comedian, excellent in everything he starred in, even when it was hot garbage like Houseguest. His tragic death in 1998 meant that myriad potential future projects would never be, and the world would never again get to hear from The Simpsons lawyer Lionel Hutz or the hasbeen actor Troy McClure.